Most of us have fond childhood memories of climbing trees; negotiating the knurly branches, sitting up high in the leafy canopy of a tree with our friends and jumping back down from as high as we dared! Well tree climbing is no longer the domain of young children. It is a fully recognised sport and is great fun for all ages. It isn’t to be confused with high ropes adventure courses which are also set in trees. High ropes adventure courses are obstacle courses with rope bridges, tarzan swings, zip lines and other challenges that are permanently fixed into the tree tops using wires and screws. You wear a harness with cows tails that clip in to a wire and go from one obstacle to another along a course that takes you through the treetops at various different heights. Pure tree climbing is completely different! You arrive in the woods and the instructors rig up the trees with ropes and rope ladders, which are there for safety. You wear a harness and climb up the tree, attached to the rope, with someone belaying you, a bit like in rock climbing. You are totally safe, which means you can climb much bigger trees than you would ever have dared to climb as a child and tackle more technical trees. You can try different species (some are a lot harder than others), different climbing techniques and different ways of getting down! If you didn't know the difference between a pine tree and a beech tree before, you will afterwards! 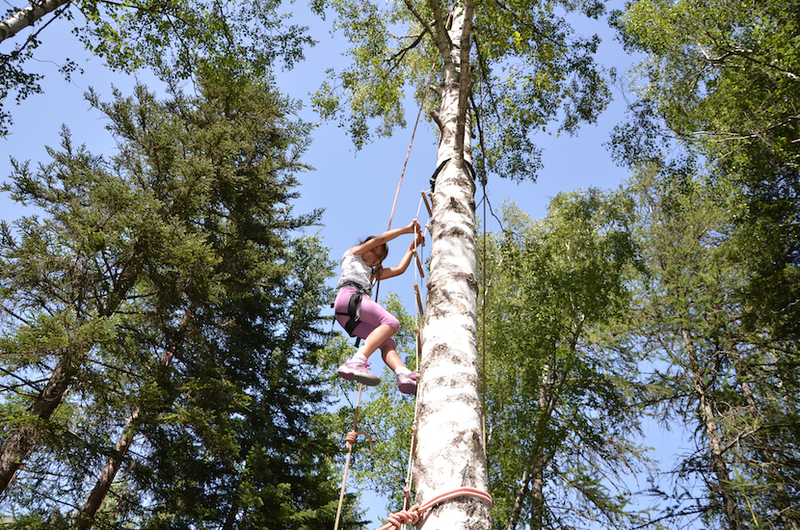 In France the word 'accrobranche' is used, rather confusingly, for both activities but officially refers to the tree climbing whilst 'parcours aventure' is used for high ropes adventure. At Undiscovered Alps, now Undiscovered Mountains, our instructors set up the rope systems for you in the trees making sure they don't cause any damage to the trees and give you tips and advice on your tree climbing technique. At the end of the session, everything is taken down and no-one would ever know you had been there! And if you really want to experience the mystery and charm of the woods, you can spend the night in a special tree hammock, listening to the leaves rustling and the noises of the night animals as they come out to play. In the hammocks, you sleep in your harness attached to the tree so you can't fall out. This means you can sleep high in the trees with the birds, but it is a little inconvenient if you want to go for a pee in the night! 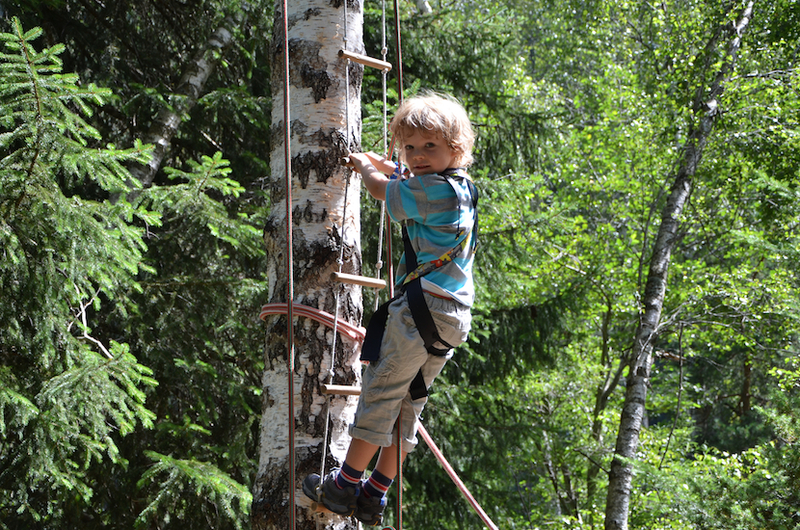 You can have a go at tree climbing as part of an alpine activity holiday.